Offering stunning scenery, golden beaches and ancient cities, central Italy is hard to beat as a vacation destination. Camping in Tuscany can mean fun for all the family, whether you’re after a walking holiday, a week by the beach or a few days exploring vineyards and historic Tuscan towns. Tuscany is one of Italy’s holiday hotspots that’s found in the central part of the country, just north of Rome. As well as miles of Tyrrhenian Sea coastline and beach resorts like Cecina and San Vincenzo — and not to mention the gorgeous island of Elba —, the region has some pretty stunning scenery inland, too. 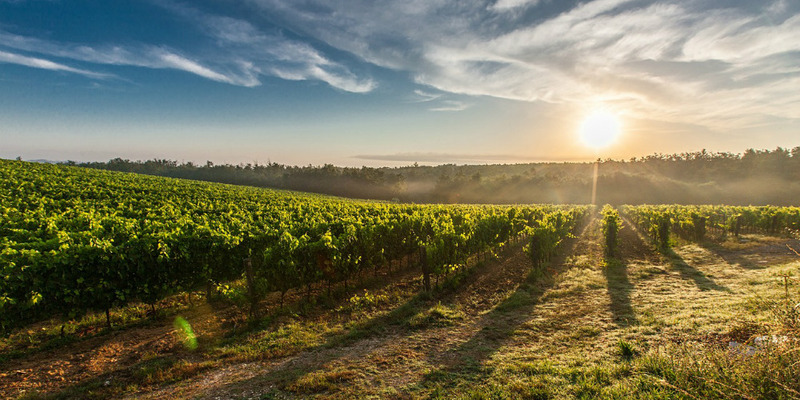 The Apennine Mountains offer up a rugged landscape perfect for hikes and outdoor adventures, while Chianti in the heart of Tuscany is famous for producing the crisp red wine of the same name. All around Tuscany you’ll find fields ripe with crops as well as plenty of local restaurants where you can try traditional and seasonal gourmet treats. Tuscany is also widely thought of as Italy’s artistic mecca, with cities like Florence, Sienna and Pisa packed full of Baroque architecture and masterpieces from some of the world’s top Renaissance artists. The captivating landscape of Tuscany has an alluring appeal for holidaymakers of all ages, who make the regular pilgrimage to enjoy the culture, cuisine and beauty that the region has to offer. 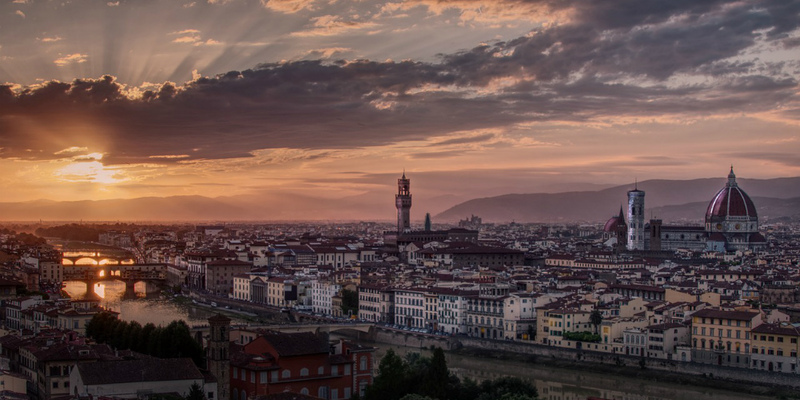 Florence — Historic and romantic Florence is packed with treasures. The skyline is dominated by the Cathedral (the Duomo), where you can climb up inside the huge dome to see its ornate frescoes and on to the lantern for fabulous views of the city. Be sure not to miss Michelangelo’s David in the Galleria dell' Accademia, either. Pisa — At the edge of medieval Pisa is the Campo dei Miracoli – the Field of Miracles - where you’ll find not only the Leaning Tower but also the superb cathedral, the baptistery and the Monumental Churchyard, said to be built on earth brought back from the Crusades. Siena — Amazing as it is, Siena’s ornate gothic cathedral is just part of what was planned – the half-built Duomo Nuovo is testimony to the Black Death that brought building to an abrupt halt in 1348. Be sure not to miss the frescoes and books in the Biblioteca Piccolomini or the unusual relics of St Catherine displayed in the Basilica of San Domenico. Elba — Tuscany’s largest island, Elba is historically known for being the destination of Napoleon Bonaparte’s exile in the 19th century. Explore its sandy beaches and quaint coastal towns or go diving off its shores into Europe’s largest marine reserve. Our Tuscan campsites are well placed for exploring all the wonders that this incredible region has to offer. 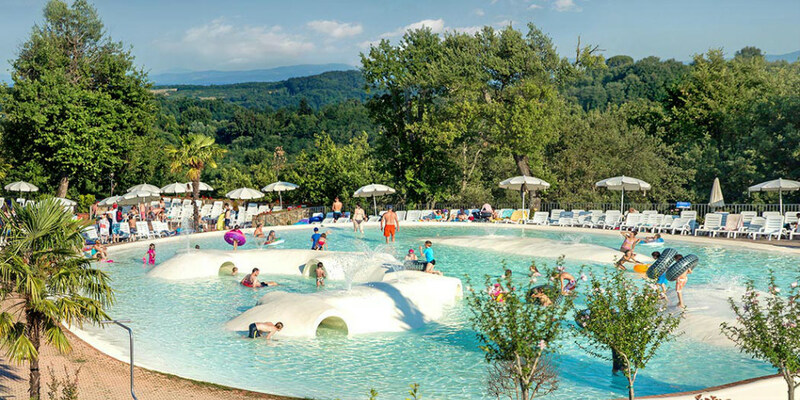 Stay just outside romantic Florence at the Norcenni Girasole Club, whose tiered campsite in the Arno Valley allows you to make the most of its stunning natural setting. If you’re more of a sun worshipper, there are plenty of campsites in Tuscany by the beach. Camping Park Albatross is a fifteen-minute walk away to San Vincenzo, which boasts one of the region’s most beautiful sandy stretches. For something more exclusive, the Rosselba le Palme campsite in Tuscany’s Elba island is surrounded by fragrant botanical gardens and idyllic coves.